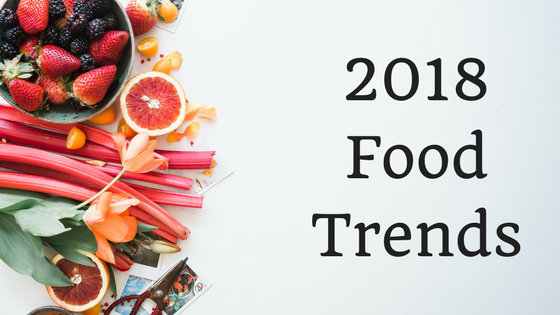 Every year brings new food trends. Some catch on, while others quietly fade away to obscurity. While last year brought us coffee in an avocado and many specialty Starbucks drinks, I believe this year holds many unexpected surprises. If you are a foodie like me, read on to find out my ranking of 2018’s predicted food trends. Who would have predicted that 2018 would see us eating bugs? It turns out, many food writers have been predicting an increase in the amount of people willing to try a new protein alternative. While crickets are expected to pop up as powders, in processed snack bars, and even whole, I am not sold on eating crickets just yet. Furthermore, anyone with a shellfish allergy should avoid crickets and other arthropods, as they may contain the same allergen and cause similar effects. I am a big fan of meat. I like steaks, burgers, and a nice pork chop. Recently, scientists have discovered how to engineer meat in labs. Although I am not opposed to trying artificial meat, I am concerned about possible side-effects down the line that may come about from this new technology. Mushrooms are good in a soup, salad, or gravy, but it will be a long time before I drink mushrooms in my coffee. Grocery stores are expecting to see mushrooms appear in just about anything — even candy bars. I can get behind the health benefits of mushrooms, but I am not convinced that the taste of any of these specialty foods would be good enough for me to buy. Here is where I started to come around. People eat flowers all the time, from lavender-infused teas to dandelion greens. An increase in flower-based products would be a welcome addition to my local store, and I’m sure I will try some new items from this trend. In the past few years, people have been juicing their fruits and vegetables to get some much-needed vitamins. Yet, studies are showing that eating entire plants could be a good thing. Most of us know that the skin of an apple contains the most nutrients, but the same could be said for nearly any produce. Beyond that, people are predicting that the roots, stems, and leaves of plants are going to make an appearance on our plates, and I am perfectly fine with that. Studies have recently come out about the health benefits of eating fermented foods. These include yogurt and pickles, but some of the best fermented foods come from other cultures. We can expect to see foods like kimchi show up in our grocery stores, and I think our stomachs will be much better off for it. Fats used to be touted as harmful, but they have made a comeback now that we know they are actually quite healthy for us. This year, we will start to see more products being cooked with animal fats, like lard and duck fat. While this may be more of a restaurant trend, there will surely be recipes you can make at home. Out of all of 2018’s predicted food trends, I am not so excited about eating crickets, but I am ready to eat duck fat fries. Ultimately, this year will probably bring tons of unexpected twists, so for now, we will have to keep an eye out at our local supermarket and see what products start to line our shelves.